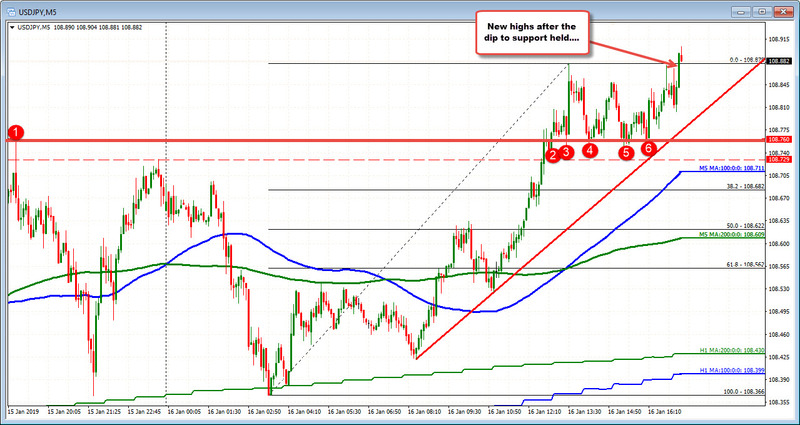 USDJPY cracks to new session highs.. The USDJPY tested the 108.76 level one more time in the NY session (see earlier post) and held support. That frustrated sellers, and encouraged buyers. The price has moved to new sesion highs and looks toward the 108.99 and 109.08 high for 2019. The 108.76 area is more solidified as a key support floor for the pair. A move below would weaken the technical picture for the pair. Buyers remain in control.